"If speaking English was easy, everyone would already be really good at it. Not all English learners are at the stage where they need or want to use English really well. But the people who are at that stage know that it's not an easy road. They know that becoming great in English is tough. That's why, if you're ready to become truly awesome at English, I'm ready to teach you everything I know." If you're reading this, then being able to use English well is an important part of your life. English is more than just a hobby for you. - Impress the people (native and non-native English speakers) around you. I help English learners go from 'good' to 'great' in their English speaking and writing. If all of that is something that you want, then I have created a monthly advanced English learning program for you. However, it is expensive and it is not for everyone. The Difference is a multi-resource program (online and offline) that teaches a mixture of practical vocabulary, chunks, patterns and structures through natural conversation, proven methods for learning English effectively, and in-depth analyses of how to behave and speak to really fit into English speaking cultures. Each lesson pack is full of language that you can use immediately, and strategies that you can use to change the way that you use English. Each lesson pack is designed, so that you can open it and read it all in one day, and then spend a month studying it and absorbing all of the information inside it. My wish is that you use each lesson pack to guide and focus your learning for that month because true mastery comes from practise. Anyone who has the passion can learn to use English well. And that, if you already know the basics​, then you are ready to move up a level. My intention is that the support, knowledge, opportunities, confidence, freedom and language that you gain from this program will be more than worth the price you pay. This program isn't just a lesson pack. 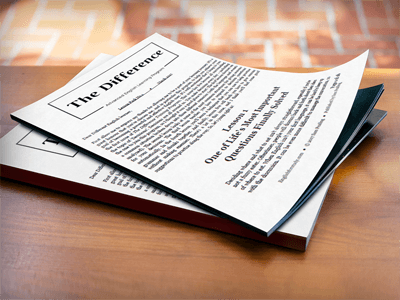 The Difference program contains the four elements that you need to really drastically improve your English. The first of these are the Advanced Lesson Packs. As I've explained in detail already, these are 'paper and ink' lesson packs which contain the core language and focus for each month. start using it in your everyday life straight away. The monthly Lesson Pack will be printed out and posted to you ​at the start of each month. This makes it easy for you to start working on them without having to go on the internet. It also means that you can study the materials wherever you are, and that you can take notes on them freely. The second element is the Guided Practise. Language Learning Strategies are the activities that help you to learn language. I've spent a lot of time researching and testing learning strategies to find out which ones work, and which ones don't. Each month, we will look at one language learning strategy in detail and show you exactly how to use it to improve your English quickly. The third element of this program is support. Proper support can be the difference between failure and success. And the support that you get in The Difference goes beyond a simple Facebook group. Instead of a private Facebook, there is a three part support system to help you when you feel down. The private (not-on-Facebook) Community. A group of English learners like you who you can discuss, share ideas, and practise with. It can be hard to find decent people to practise and talk with on the internet. My hope is that this community solves that problem for you. Monthly Question & Answer sessions where you can ask me your burning English questions. These are sessions where you can interact, ask questions about the lesson packs or just ask about English in general. There's no question too small for these sessions. Monthly Private Development Session. Development Sessions are 15-minute one-to-one sessions where you and I meet on Skype or Zoom. They are a great way to get personal guidance and coaching which no-one outside of my coaching students gets. The beauty of these sessions is that I can get to know more about you and help you with your own challenges. The final element is​ feedback. So many courses just leave you to figure it all out on your own. But not in The Difference. Good, honest feedback makes your life much easier. Now, this isn't the type of feedback that just tells you what you're doing well. The first of these is a course that I designed to help a group of English learners have fun while making English a part of their daily lives. Simply put, this course is designed to make it super easy for you to use English every day. The course follows a system that I developed called BPE or Build.Practise.Expand, and it introduces you to many new ways of learning English that you probably haven't thought of yet. It's a great introduction to the way that I teach English and how to become a more effective learner. This course has never been on sale before, and I probably won't ever release it. What's more is that this course doesn't end. You can use the principles, activities, tasks and materials in it for as long as you like. But that's not the only bonus that you'll get with your membership to The Difference. I like to treat my students from time to time. Exclusive trainings - Sometimes, I can't cover everything in the materials, so I'll host an online event to go into more detail. As a Difference member, you get access to these events. Discounts on my other products - As a Difference member, you get special discounts on any of the other English learning products I create. Sometimes, you'll even get to trial an English learning product for free before it's released. Special guest interviews - Occasionally, I'll have interviews and talks from other people who are experts in their field. These interviews will be generally be available only to members of The Difference. Support from me - I'll be active in The Difference Community. You can ask me any questions about English learning, language strategies, grammar, vocabulary, speaking, listening, reading and writing, and I'll personally reply. Like I said, this kind of support is usually only reserved for my coaching students. ​In short, The Difference could be what is standing between you and your success in English. Practise, situational working language and mindset. The Difference costs $89.95 a month. - The personal support and community. ​However, there are no refunds. ...because, you and I both know, your English won't improve on its own. Having a high level of English can open up many doors in the future for you. Learning a language to a high level is one of the best forms of self development that you can do. I truly believe that anyone with the right heart can learn English to a high level. And if you have the passion, then I want to help you to achieve that high level. Now, if reading all of this has got you excited about all of the possibilities having exceptional English can bring you, I invite you to join me and the other higher level English learners in The Difference. 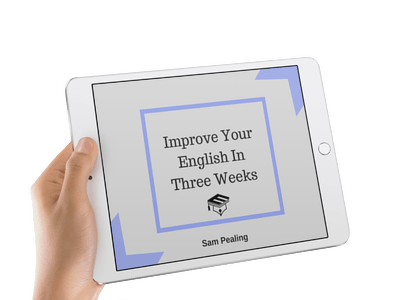 You'll get instant access to the 'Improve Your English in Three Weeks' Course. Will the lesson pack be online? The lesson packs are written, published and sent by myself. They are not online, only in paper. The reasons for this is simple. Research shows that people learn better and prefer learning from paper materials. I don't know about you, but I love holding books in my hand. In fact, I read more paper books than I do ebooks. And I definitely learn better from paper books. The second reason is because the internet has made us become a bit more disconnected. But receiving something in the post is more personal and meaningful. I want you to be excited to receive these materials each month. After you join, you'll be able to create your account to start the Improve Your English in Three Weeks course. Then later, I will be in touch via email to keep you updated on when you receive the rest of the materials. You have lifetime access to the Improve Your English in Three Weeks course. That's yours to keep forever. You can also keep all the materials, recordings and any extras for each month that you are a member. They are yours to keep. Do I get free access to all of the previous lesson packs? That wouldn't be fair on all of the students who have been with me for a long time. You will have the option to purchase previous lesson packs, however. You need to be a member to buy previous lesson packs, though. Just click on the 'Join Now' button and you'll be taken to the 100% safe a secure place to pay. Enter your address details (I need this to send the lesson packs to you), and complete the payment through Paypal. Paypal is free for you to use and is 100% secure and is trusted all over the world. You don't even need to make a paypal account and you can use any credit or debit card that you have to pay with. Why should I join The Difference instead of another English course? I'm not here to tell you why you shouldn't buy someone else's course or why you should join mine. One big difference between The Difference and other English courses is the level of feedback and support I give you. In many other courses, you download the materials, and that's it. If you're reading this then it's already clear that you're interested in The Difference, so I won't try to convince you. I will say this though. Please don't join The Difference if you won't do the work or if you complain about having too much information. I work hard to make sure that there is a lot of useful and practical information in each lesson pack, and I spend a lot of time working with each one of my students. How do I know you're qualified to teach me? If you are not 100% sure, don't join. 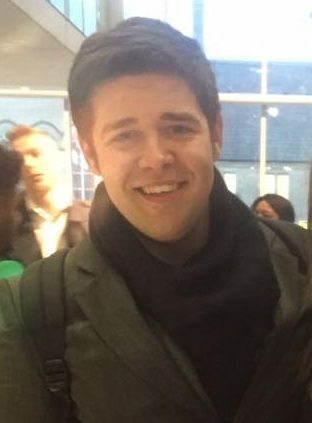 Saying that, I have been teaching English for over 8 years. I have multiple degrees and certificates that prove I can teach English - including a Master's Degree in English Language Teaching and other teaching certificates. I'm also a lecturer at a British university. I've taught in language schools in three different countries... And I've designed and run two different courses: an English language course for footballers and an academic grammar course for university students. ​I've also done research into Language Learning Strategies, and I have multiple English students who I teach online. Will this help me to pass my test? If your test is based on good English writing skills, then you will definitely learn something from this program. However, it is not written especially for exams. If your exam is based on good speaking skills, the answer is the same. It will help you to develop good speaking skills, but this is NOT exam specific training. This is designed to get you better at speaking English in all situations, not just exams.